Justin Rodgers, a senior from Cary HS, has barely more than a dozen track and field results to his name. He specializes in the shorter sprints: 55 Indoors and 100 and 200 Outdoors. Previously, Rodgers made his home exclusively on the gridiron for the Cary Imps as a football cornerback. However, his senior year he's evolved into a runner whose motivation comes from his older brother. Rodgers shares, "when I was in 8th grade my brother, Chase, died in a car accident and I use this as inspiration for me to continue his dream of playing football in college. Now it looks like track may actually be an option as well." Rodgers committed this past winter to play football for Newberry College in SC. Coach Jerry Dotson has overseen Rodgers' track training. In the one and a half seasons they've had together, he says, "He is a hard worker and he is a quick learner. He is a very positive person and teammate. He always shows his gratitude." Rodgers admits, "I've been sprinting only since the indoor season this year but I attribute a lot of my success to training for the 40 yard dash in football. All of my training has gone on at my school's track and gym and the athletic lab in Cary. Training for the 40 yard dash has helped me perfect my technique and is the main reason why I have a really good start." He cites his performance out of the blocks as his greatest strength. With his fast start, he secured PRs of 6.54 in the 55 and 23.54 in the 200 outdoors. Rodgers says, "I really enjoy sprinting because it's very fun for people to watch and I love performing on that platform with all eyes on me." Dotson adds, "He has accomplished a lot in one year, including the school record in the 55 and qualifying for the North Carolina 4A State Meet and the New Balance National Indoor Track Meet." Rodgers loves racing and when competing can be found in black Nike socks and his Saucony spikes. In fact he declares, "I love how comfortable my spikes are." Although he's entering Newberry for football he hopes to pose a double threat. He says, "I'd love to compete in track as well while I'm at Newberry." He continues, "My biggest regret is that I didn't run track until this year. I believe I would be an even better runner then I am now if I had been running all 4 years of high school." It Rodgers could do it all over again he certainly would have been a household name in the North Carolina sprint scene with four years of sprinting under his belt. 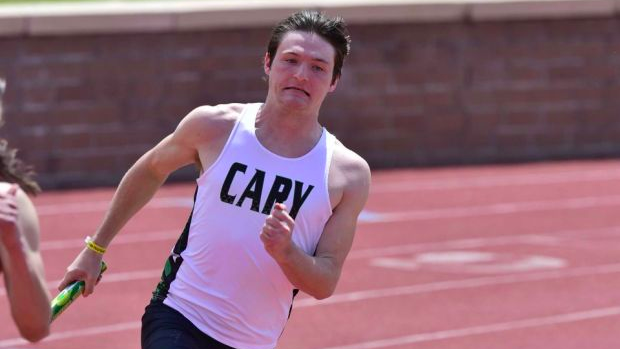 Rodgers is set to hit the track this weekend at the Apex Lions' Relays, where he and his Cary teammates will look to compete for the win in the sprint relays. Rodgers is likely going to run a relay leg on the Imps 4x100, 4x200 and Sprint Medley Relay this weekend. 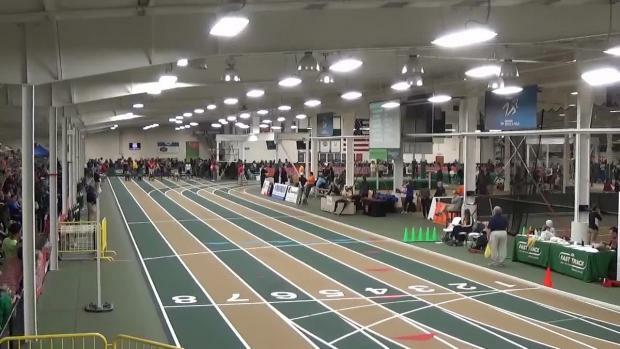 You can watch the event LIVE on MileSplit.